Row expander/widget is another way for editing grid records. 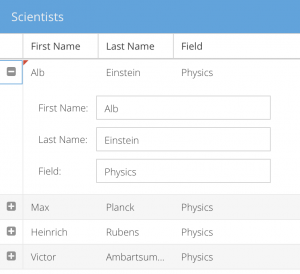 It allows to edit hidden record fields which are not presented in grid, present row in form and show some additional information and/or validation. 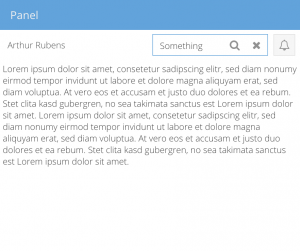 Button-field is an GUI component which may help to keep the GUI clean and minimalist. I decided to implement it in the following sketch and add keymap support. 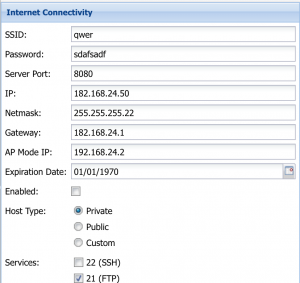 To implement password strength form I have used the simplest algorithm. To make appropriate calculations and to change the the color of the night progress bar and the internal text the form is using ViewModel . ExtJs has rich layouts functionality. In this post I will show you how to make reflowable vbox layout. 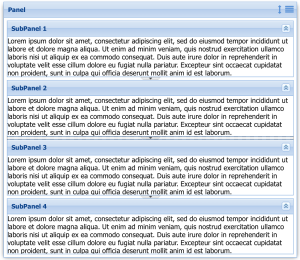 Reflowable layout is very useful in resizable components i.e. popups and splitted subcomponents. Storing form field values in cookies. Storing field values in cookies maybe useful not only during the debugging/developing the app but also for users who can continue working on the same browser next day. 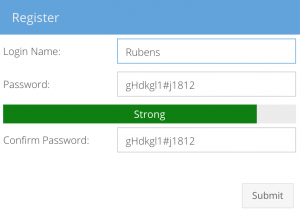 Another method which makes user’s life lighter is to implement form template mechanisms. Users will be able to store some form states on the server and use them later. ExtJs fields have validation mechanisms but they make the field invalid. To implement a field prompt mechanisms I have improved existing code and migrated it to 6.6.0 version.